Spiral stairs are incredible centerpieces for places all over the world. Spiral staircases are not only known for their elegance and grandeur, but also for their architectural feats. Behind interesting architecture is normally a fascinating backstory. 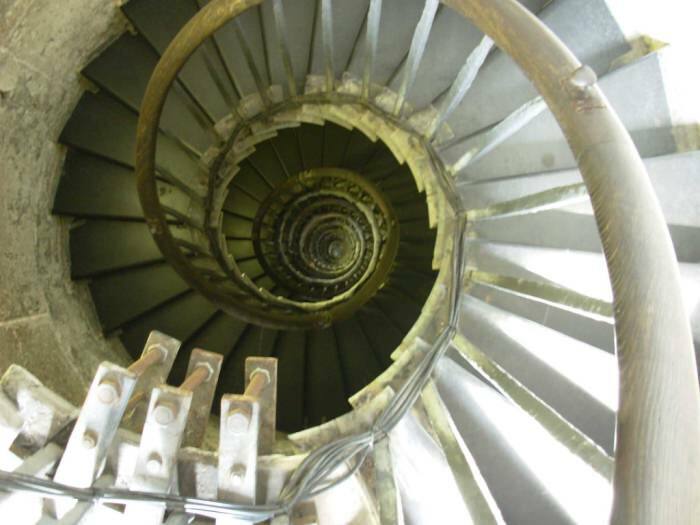 Below are five of the world’s most famous spiral staircases and the tales that surround them. 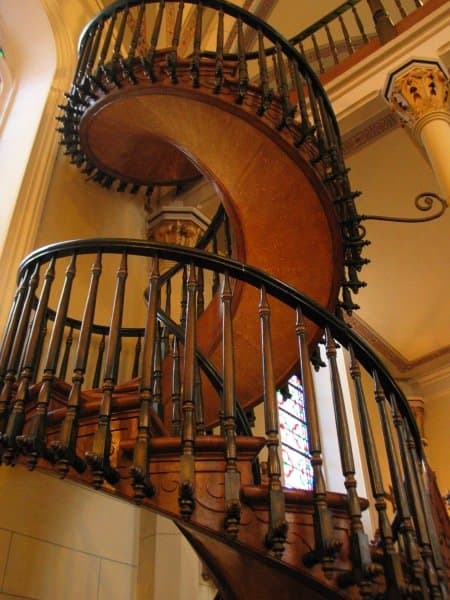 When it was constructed in the 19th century, the Loretto Chapel seemed to have the problem that modern spiral stair have; they needed a staircase to the second floor choir loft and there seemed to be no room for one. Legend has it that the sisters of the chapel prayed to St. Joseph, patron saint of carpenters, for a solution to their dilemma. Nine days later, a mysterious man appeared outside the chapel with carpenter’s tools and constructed a staircase whose structure still baffles engineers today. No one is sure how the carpenter managed to construct a stable staircase that has no visible means of support and no nails. Perhaps the Loretto staircase really is a divine miracle? end, while the other brings them back down. 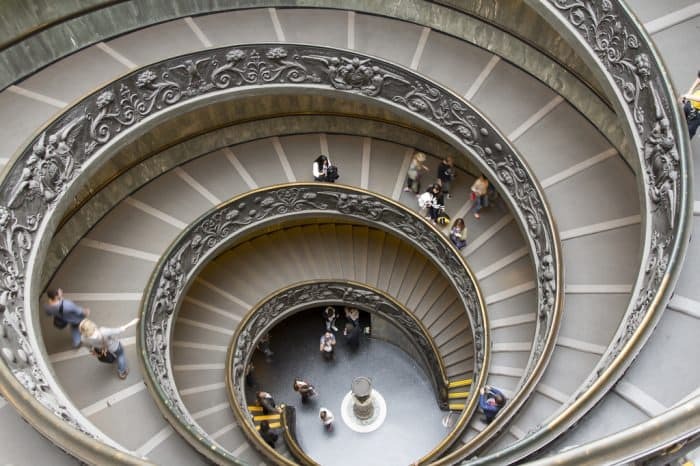 More than 4 million people flock to the Vatican Museums every year, making this one of the most visited spiral staircases in the world. The Museo De Pobo Galego, or the The Galician People Museum, was created in Spain. 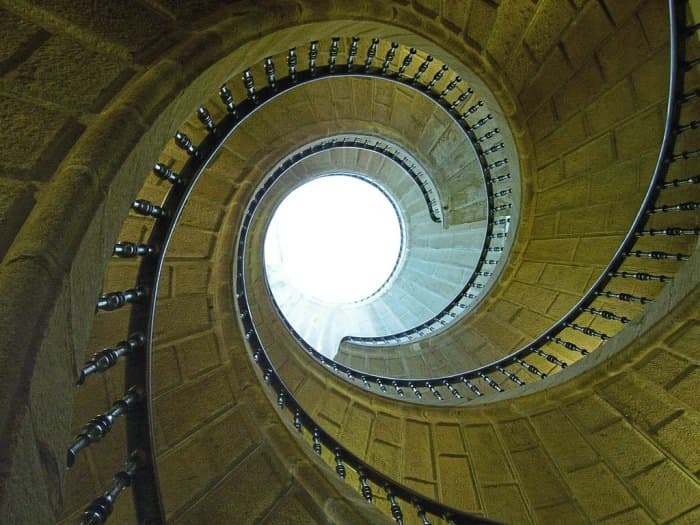 Designed by Domingo de Andrade in the 17th century, the central spiral staircase is a triple helix. Three spiral staircases weave together to create dynamic architecture. Each staircase leads to its own floor, streamlining traffic patterns. It’s said that the triple helix construction was chosen to reflect the Celtic traditional solstice symbol.. Located in Australia, this incredible staircase spans six floors and has 6.5 revolutions. It is the centerpiece of the Garvan Institute of Medical Research and matches the modern decor of the building with its sleek white base and chrome railings. The spiral made sense due to the size of the building. 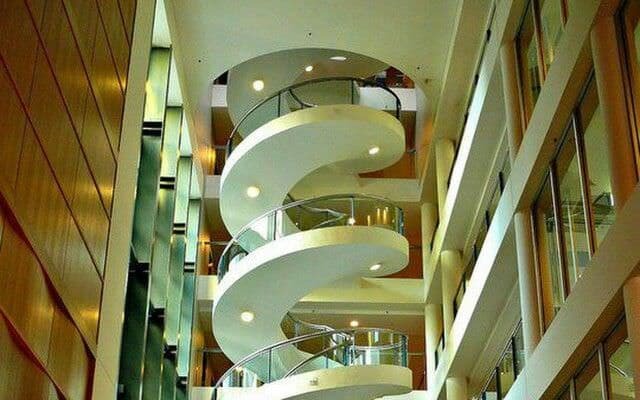 With needed access to six floors, a spiral stair made the most sense as it took up the lease amount of room. Constructed between 1671 and 1677, the Monument was built to commemorate the Great Fire of London and the rebuilding of the city. The first began in a baker’s house on September 2, 1666 and was not extinguished until September 5, burning a large portion of the city. The giant Doric column features an interior spiral staircase with 311 steps that leads up to the viewing platform. It reaches a height of 160 feet and is a featured tourist location. Spiral stairs have been around for centuries and have been featured in some of the most beautiful buildings. Whether they're in a historical monument or in a modern atrium, spiral staircases will make a statement. We've listed some of the most famous, but there are plenty more of monumental staircases out there!